As much as we may begrudge the idea of sequels, let’s be honest, we all love a good franchise. Sure, there are a lot of cash-in sequels and franchises that get way more attention than they deserve (I’m looking your way, Transformers). But let’s face it, without ongoing movie series, the world of cinema would feel incomplete. Sometimes, a series may dwindle in quality after a while. Other times they are able to pick themselves back up. I think we all know which franchise saw the greatest return to form in 2015. Though I truly loved Mad Max: Fury Road, it didn’t have a terrible prequel trilogy to redeem itself from. Star Wars, on the other hand, had the notorious Episodes I, II and III in the back of audience’s minds. Thankfully, The Force Awakens delivered an adventure that’s as fun, engaging and magical as Star Wars has ever been. No Hayden Christensen, no Gungans, no Midichlorians, no Gungans, no political subplots, no Gungans, no poorly-written romances, no Gungans, no pointless Podraces, no Gungans, you get the idea. Whatever bad memories were created by the prequel trilogy should be melted away by the sheer delight of The Force Awakens. It really is everything we’ve always loved about Star Wars made new again. Thanks to The Force Awakens, it is now cool to like Star Wars again. 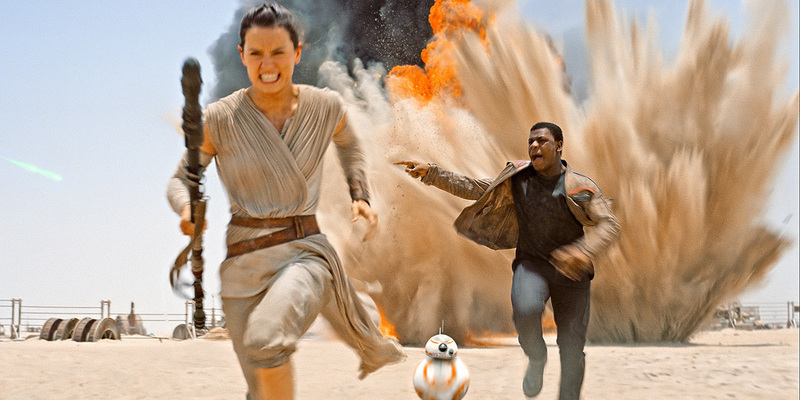 Now Disney is left with one hefty task: topping The Force Awakens with the sequels.